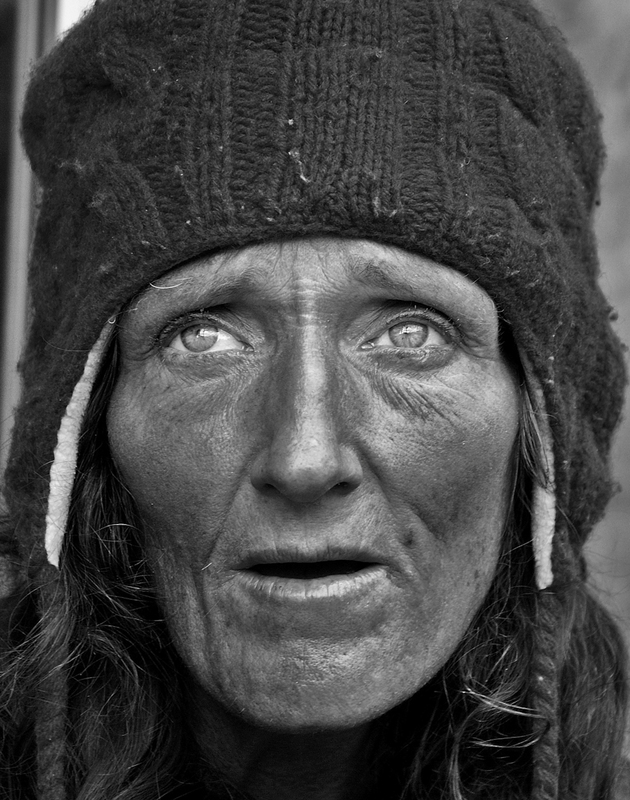 homeless robin from sonoma sitting in a doorway on the outskirts of hayes valley; she has two grown sons still there (one 22 and one 35). she doesn't see them much; but they speak often. she recently got caught in the cross fire of a gang shooting. one bullet went through her arm. the other went through her groin and is lodged near her spine. she says it's only by god's grace that she survived. she lives on her ssi benefits; she chooses to live on the street rather than give it all over for housing.